The Pullo Center at Penn State York welcomes Southside Johnny and the Asbury Jukes to its stage on Saturday, November 8, 2014, at 7:30 p.m. Ticket prices are $50 and $35 and will go on sale September 5 at 10:00 a.m. Members can order now. Tickets can be purchased at The Pullo Center Box Office, charge by phone at 717-505-8900, or online at ThePulloCenter.com. “I've always wanted to be a Juke…and I still do.” (Jon Bon Jovi) “There's one thing I've always wanted to do,” Southside Johnny confesses, “and that is to sing.” And he has been doing just that for over a third of a century. In a business where success is defined as getting a second single and longevity measured in nano seconds, just surviving for thirty-plus years is a rare accomplishment. But Johnny and the Jukes have not just survived, they have flourished: over thirty albums, several EPs and a box set; thousands of live performances around the globe; a legion of dedicated and enthusiastic fans; dozens of classic songs; a record— HEARTS OF STONE —that Rolling Stone called one of the "top 100 albums of the 70's and 80's"; and the story continues as the band releases its newest studio album, PILLS AND AMMO, full of new material that is already getting rave reviews from fans. 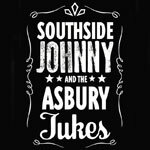 Southside (so nicknamed because of his bent toward the Blues sounds of the Southside of Chicago) and his band, eventually called the Asbury Jukes, worked on growing their reputation as a dynamic live band through the late 60's and early70's. "We built a big band, a home for lots of musicians, horns and all: sure we called it Southside Johnny and the Asbury Jukes, but it was really just a bunch of guys getting crazy on stage." Then, in 1975, they signed with CBS/Epic Records, released the critically acclaimed I DON'T WANT TO GO HOME, and a legend was begun. What followed has been over three decades of recording and touring and solidifying a place in rock 'n roll history.